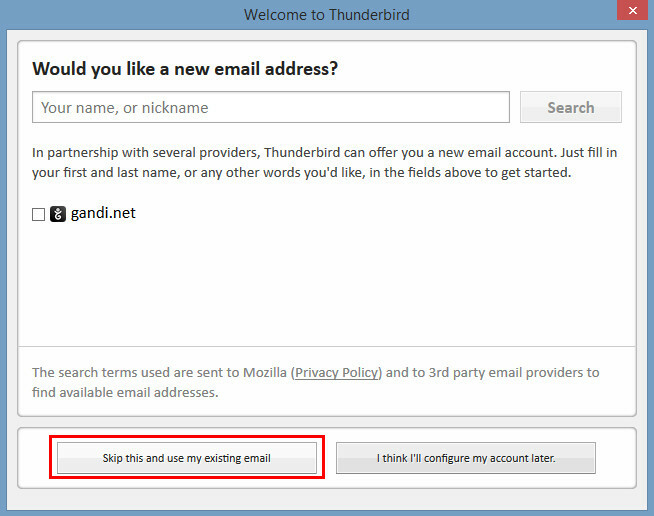 Open Mozilla Thunderbird and click the 'Email' link in the centre. In older versions of Thunderbird, you may have to go to "File" > "New" > "Existing Mail Account". You may get the following window popup. If you do, select "Skip this and use my existing email". Next, fill in the following details and then click 'Continue'. It will begin trying to automatically retrieve the connection information, however we need to set this up manually. 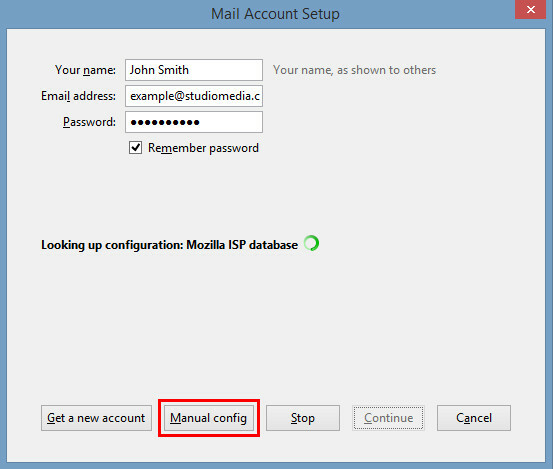 So select the 'Manual Config' button. Or wait until it finishes trying to verify and you will be able to amend the settings. We can now fill in our remaining settings down the bottom of the window. (Your name, Email and Password will already be pre-filled from before). Once you enter in all your details, select the "Re-test" button. Incoming IMAP/POP3: Select POP3 or IMAP. If you are unsure which to choose, see the following Knowledge Base article link on Should I choose POP3 or IMAP?. 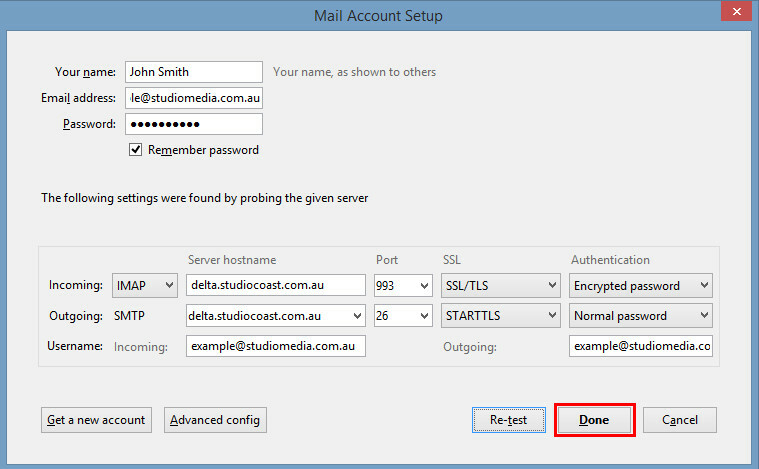 Incoming Server Hostname: Your email account's incoming mail server. To find this, please refer to your Account Information by logging into hostControl. 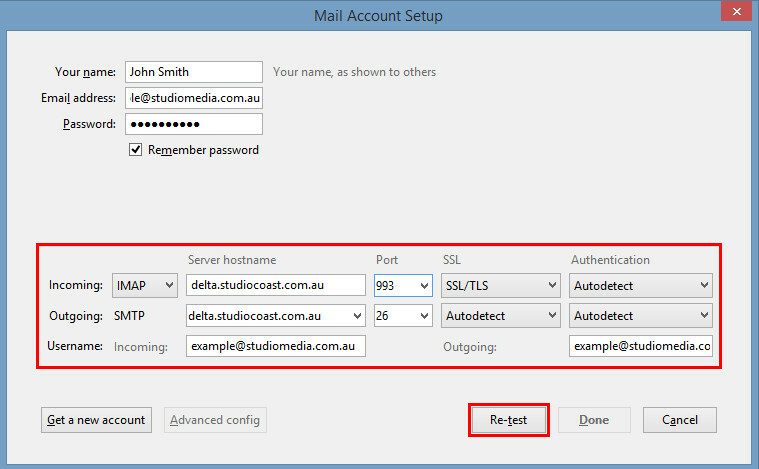 Outgoing Server Hostname: Your outgoing mail server will be the same as your incoming mail server. 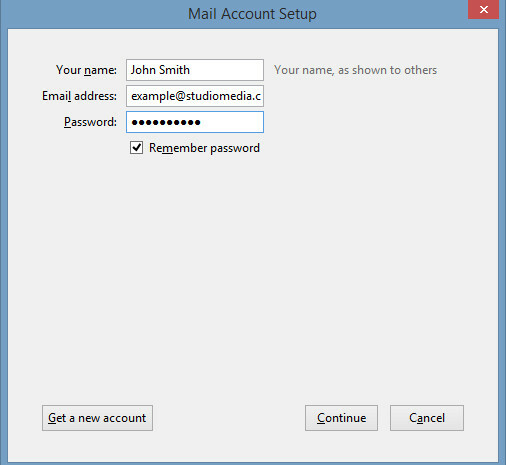 Username Incoming / Outgoing: Your username will be the same as your full email address. Eg. yourname@domainname.com.au. This should auto-fill any auto settings. Finally, click Done to save.